If you have any type of home heating or air conditioning system, you also have a thermostat. After all, how else would you be able to tell your indoor air temperature and control your state of the art comfort system what to do? But while you probably spend a lot of time researching and examining your home comfort system options, you probably didn't think much about the thermostat. Thermostats are used to turn on heating and cooling systems to bring the home to a set temperature. While it is true that just about any thermostat will let you raise or lower temperature in your home, not all thermostats are created equal. In fact there's a huge amount of variation when it comes to these types of products and the type of thermostat that you have can actually have a big impact on what you are to get out of your home comfort system and even how much you pay each month to keep your home temperature controlled. Most basic thermostats are hard wired into the heating and cooling system. They allow you to adjust the temperature up or down, and they may or may not provide you with any additional information like the actual temperature in the house or time. Most of these thermostats that are hard wired into the heating and cooling system are analog, but some are digital. 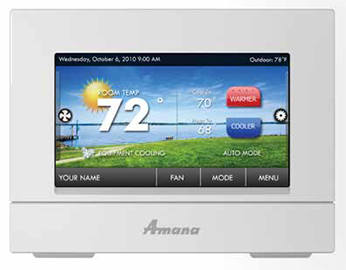 Digital thermostats provide you with several advantages over the basic traditional models. For one thing, they are more accurate and give you more control over the exact temperature you want your home comfort system to maintain. Many digital thermostats are also programmable, a feature which brings with it a whole host of advantages. For instance, if you and your family are typically away from the home for long periods of time, such as work or school, you don't necessarily want to pay to heat or cool your empty house during that time period. But it's nice to arrive to a comfortable home. So what can you do? Well, with a programmable thermostat you can manage the indoor environment of your home at different times of the day or week. That means you can tell your home comfort system ahead of time when to setback your temperatures when your away from home and when to bring the system back on so that your home is just the way you want it when you arrive. This type of control can have a dramatic impact on the overall energy use of your home and save you a ton of money, and it is certainly more convenient than having to come home and wait for the house to heat up or cool down. Did you know that for each degree that you keep your thermostat under 72 degrees during the winter season can reduce your heating bill by 3 percent? A programmable thermostat makes this very easy to do. You will save money on fuel cost and still stay perfectly comfortable all year long! More and more, digital thermostats are going wireless. And while you may not notice any difference in performance or ease of use whether your thermostat is hard wired into the home comfort system or not, there are some benefits to a wireless thermostat. First of all, a wireless thermostat can be placed anywhere in your home, so you can choose the location that is most convenient for you. They also tend to be more accurate when communicating with the home comfort system, so you have a finer level of control when you use this type of device. 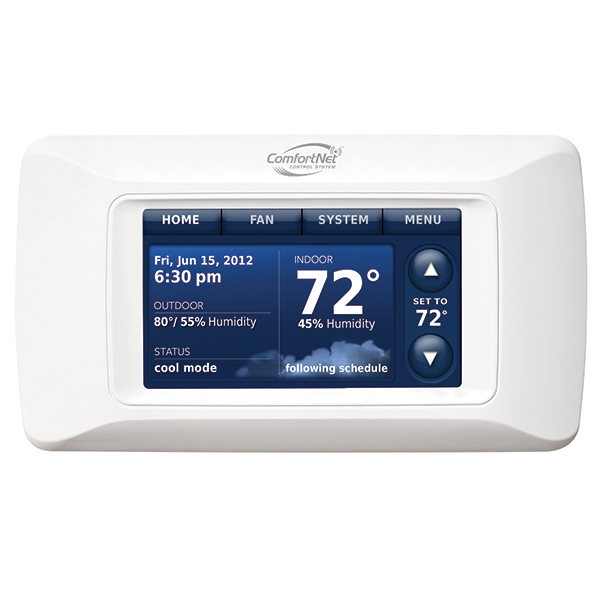 We carry a complete line of thermostats. Let us help you choose the one that best matches your lifestyle.